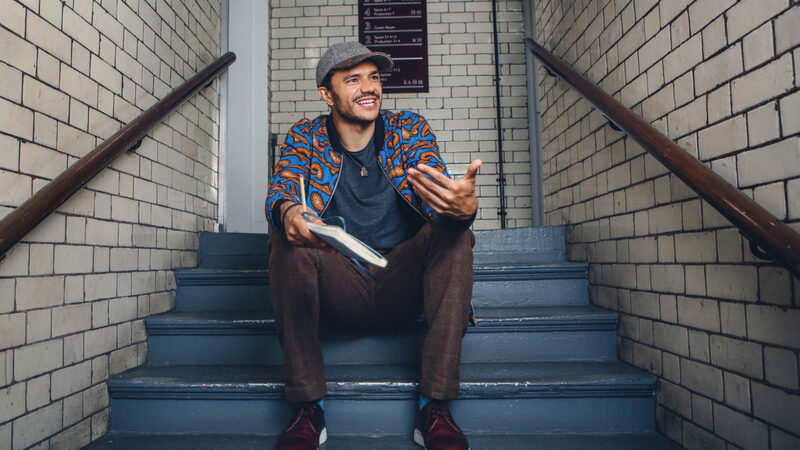 Raymond Antrobus has won the £5,000 Ted Hughes Prize for The Perseverance. The collection touches on family life, particularly the death of his father, his diagnosis with deafness as a small child, and his biracial heritage. It has also been shortlisted for the Folio Prize. Raymond Antrobus was an inaugural Jerwood Compton Poetry Fellow alongside Jackie Hagan and Jane Commane. Also nominated for the Prize were Tishani Doshi for Girls Are Coming Out of the Woods; Roy McFarlane for The Healing Next Time; Susan Richardson’s Words the Turtle Taught Me; and Hannah Sullivan, who won the TS Eliot prize last year for Three Poems. Raymond Antrobus was presented with his award at a ceremony alongside the poet Wayne Holloway-Smith, who won the £5,000 national poetry competition for his poem The Posh Mums are Boxing in the Square.